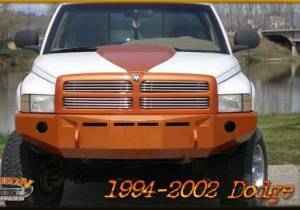 Description: Brand: Fusion Bumpers Description: Fusion Front Bumper Dodge RAM 2500/3500 1994-2002 Finish: Bumper comes standard in bare steel. Optional powdercoat finish. Description: Brand: Fusion Bumpers Description: Fusion Front Bumper Dodge RAM 2500/3500 2003-2005 Finish: Bumper comes standard in bare steel. Optional powdercoat finish. 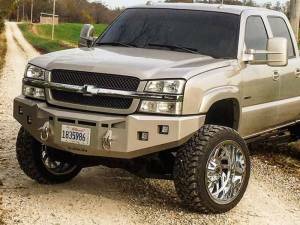 Description: Brand: Fusion Bumpers Description: Fusion Front Bumper Dodge RAM 2500/3500 2006-2009 Finish: Bumper comes standard in bare steel. Optional powdercoat finish. Description: Brand: Fusion Bumpers Description: Fusion Front Bumper Dodge Ram 2500/3500 2010-2019 Finish: Bumper comes standard in bare steel. Optional powdercoat finish. Description: Brand: Fusion Bumpers Description: Fusion Front Bumper Ford 150 2009-2014 Finish: Bumper comes standard in bare steel. Optional powdercoat finish. Description: Brand: Fusion Bumpers Description: Fusion Front Bumper Ford 150 2009-2014 Ecoboost Finish: Bumper comes standard in bare steel. Optional powdercoat finish. Description: Brand: Fusion Bumpers Description: Fusion Front Bumper Ford F150 2015-2017 Finish: Bumper comes standard in bare steel. Optional powder coat finish. Description: Brand: Fusion Bumpers Description: Fusion Front Bumper Ford F150 2018-2019 Finish: Bumper comes standard in bare steel. Optional powder coat finish. 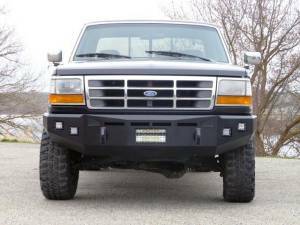 Description: Brand: Fusion Bumpers Description: Fusion Front Bumper Ford F250/F350 1993-1997 Finish: Bumper comes standard in bare steel. Optional powdercoat finish. Description: Brand: Fusion Bumpers Description: Fusion Front Bumper Ford F250/F350 1999-2004 Finish: Bumper comes standard in bare steel. Optional powdercoat finish. Description: Brand: Fusion Bumpers Description: Fusion Front Bumper Ford F250/F350 2005-2007 Finish: Bumper comes standard in bare steel. Optional powdercoat finish. 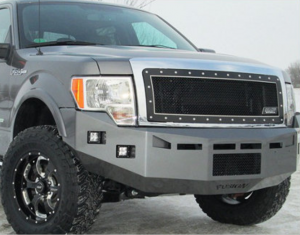 Description: Brand: Fusion Bumpers Description: Fusion Front Bumper Ford F250/F350 2008-2010 Finish: Bumper comes standard in bare steel. Optional powdercoat finish. Description: Brand: Fusion Bumpers Description: Fusion Front Bumper Ford F250/F350 2011-2016 Finish: Bumper comes standard in bare steel. Optional powdercoat finish. Description: Brand: Fusion Bumpers Description: Fusion Front Bumper Ford F250/F350 2017-2018 Finish: Bumper comes standard in bare steel. Optional powdercoat finish. Description: Brand: Fusion Bumpers Description: Fusion Rear Bumper Dodge RAM 2500/3500 1994-2002 Finish: Bumper comes standard in bare steel. Optional powdercoat finish. 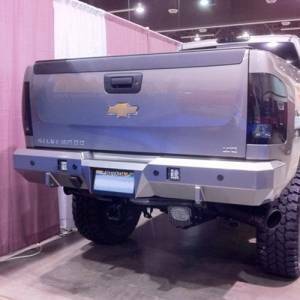 Description: Brand: Fusion Bumpers Description: Fusion Rear Bumper Dodge RAM 2500/3500 2003-2009 Finish: Bumper comes standard in bare steel. Optional powdercoat finish. Description: Brand: Fusion Bumpers Description: Fusion Rear Bumper Dodge Ram 2500/3500 2010-2019 Finish: Bumper comes standard in bare steel. Optional powdercoat finish. Description: Brand: Fusion Bumpers Description: Fusion Rear Bumper Ford F150 2009-2014 Finish: Bumper comes standard in bare steel. Optional powdercoat finish. Description: Brand: Fusion Bumpers Description: Fusion Rear Bumper Ford F150 2015-2018 Finish: Bumper comes standard in bare steel. Optional powdercoat finish. Description: Brand: Fusion Bumpers Description: Fusion Rear Bumper Ford F250/F350 1992-1997 Finish: Bumper comes standard in bare steel. Optional powder coat finish. 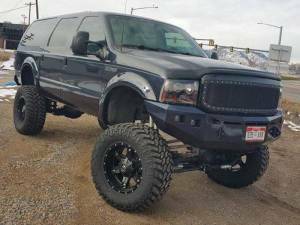 Description: Brand: Fusion Bumpers Description: Fusion Rear Bumper Ford F250/F350 1999-2004 Finish: Bumper comes standard in bare steel. Optional powdercoat finish. Description: Brand: Fusion Bumpers Description: Fusion Rear Bumper Ford F250/F350 2005-2007 Finish: Bumper comes standard in bare steel. Optional powdercoat finish. Description: Brand: Fusion Bumpers Description: Fusion Rear Bumper Ford F250/F350 2008-2010 Finish: Bumper comes standard in bare steel. Optional powdercoat finish. Description: Brand: Fusion Bumpers Description: Fusion Rear Bumper Ford F250/F350 2011-2016 Finish: Bumper comes standard in bare steel. Optional powdercoat finish. 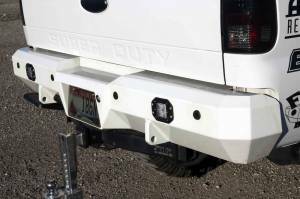 Description: Brand: Fusion Bumpers Description: Fusion Rear Bumper Ford F250/F350 2017-2019 Finish: Bumper comes standard in bare steel. Optional powdercoat finish.